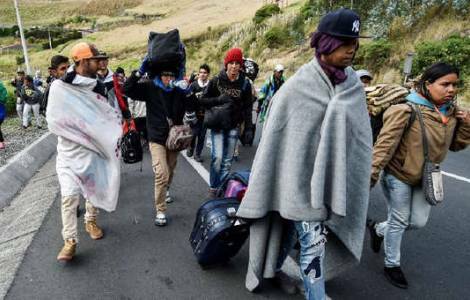 Caracas (Agenzia Fides) - Cardinal Baltasar Porras, after his return to Venezuela, wanted to comment on the reality of migration in the entire Latin American context. "It is not a group that goes away, it is a multitude, it is terrible, because we see professionals, people with degrees who have worked for years in their field, and also very well, leave in search of a better job and place where to live and work. We find them in some Latin American country working as a cook or as a waiter, or something else", the Cardinal reports in an interview sent to Fides. As for the "Puentes de Solidaridad" program, which was also supported by the Vatican, he underlined that it not only concerns Venezuelan migration, but also the requests of each of these countries regarding the exchange with civil organizations and their governments "because this Venezuelan exile is a problem for each of the countries that receives them, it is an excruciating reality", the Cardinal underlined.